More Than Carrots helps you find the restaurants with the best variety of veggie and vegan options. They are launching an app for London at the end of January (which we have been given a sneak peak of and we just had to share it with you all), but you can already access their data via their website. Subscribe to their weekly newsletter if you'd like to get updates and hear about the most interesting veggie dishes they come across. Vegetarians, vegans and committed flexitarians invest a lot of time to find restaurants with great veggie options (14 minutes on average, according to a recent survey). Meat reducers, about 30% of the population, also want to eat less meat, but don’t spend that much time finding restaurants. As a result, they often face a dilemma: Accept a boring dish – or eat meat. Our app helps all these diners to easily find restaurants that offer a great variety of interesting veggie options. In a nutshell, we either save our users’ time or we help them avoid that dilemma. We do all this by rating and ranking restaurants with our own ratings framework, which highlights the restaurants that have so much variety in their veggie options that anyone will find a veggie dish they love. 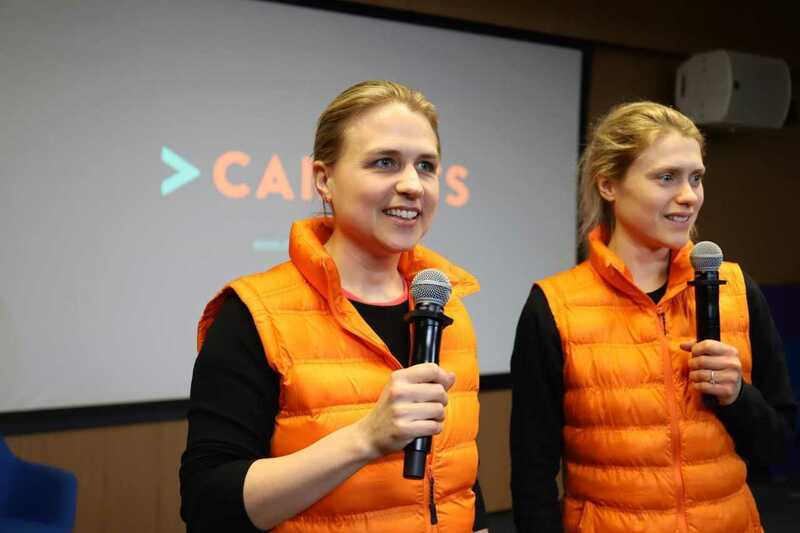 What inspired you to launch More Than Carrots? I had decided to eat less meat for environmental reasons. My goal was to make eating meat something ‘special’ again and eat it 1 or 2 times per week max. I wanted to avoid eating meat for convenience reasons or due to a lack of good alternatives. To my big surprise, this required enormous sacrifices. I literally ended up having to decide whether I wanted to eat mushroom risotto 4 times a week, find new friends to visit different restaurants or continue eating meat and fish most of the time. This didn’t make any sense to me. Even if you leave aside animal welfare concerns, it is now widely known that eating meat is bad for the environment and that eating too much of it is also bad for our own health. If someone who is motivated to eat less meat faces huge sacrifices or ends up dropping the idea, something has to change. Why do you think there's such a growing demand for more vegetarian options on restaurant menus? The number of strict vegans and vegetarians has actually only increased a little bit. The main driver for the growth in veggie products are flexitarians (a.k.a. meat reducers) who eat less meat. They make up 28% of the UK population, based on a survey we commissioned this summer. Why? Until quite recently, the only widely considered reasons for not eating meat were religion, not liking meat, and animal welfare. Therefore, if your religion allowed eating meat and you liked it, it came down to animal welfare. This is a very tricky and not very approachable topic, because once you decide that you consider eating meat to be ethically wrong, you essentially have to stop eating it entirely. I believe that, as a result, a lot of people rather tried to avoid thinking about the issue altogether. Now, the consequences of meat consumption on our health and the environment are more widely known as well. And, a number of restaurants and food brands recognised the opportunity to show how delicious vegetarian food can be. All of this has triggered a lot of curiosity in veggie food. The other benefit of these angles is that they focus on the positive and are much more inclusive. All of them make a strong case for eating less meat, instead of prescribing that one should not eat any meat. Less meat is something a lot of people can get behind. The current rating system you have is very different from anything we've seen done before – what lead you to land on this way of categorising the restaurants? It’s been quite a process to get here! Our goal is to guide people to restaurants where they will find a great variety of veggie dishes – and where they are therefore likely to order and enjoy one. We actually started the other way around, by trying to let people know exactly which dishes they’ll find. This didn’t really work though, for a number of reasons. The most important one is that we focus primarily on restaurant bookings, which usually means that our users choose a venue for a group. Dish-based search is great if you want to grab food for yourself right now – but when booking for a group, most people focus on other criteria. We tested this a lot and eventually flipped the coin. If you know that there will be plenty of veggie options, you don’t need to know exactly what they are. And if you know that the restaurant focuses on veggie food, you know that it’ll be good. That’s why we list the number of veggie dishes (variety) and the percentage (focus). We also list whether there are vegan mains, because those are still more rare. The other thing that’s been important to us is that we enable our users to compare restaurants. Meat reducers don’t usually make veggie their first priority and have a number of other criteria when selecting restaurants. 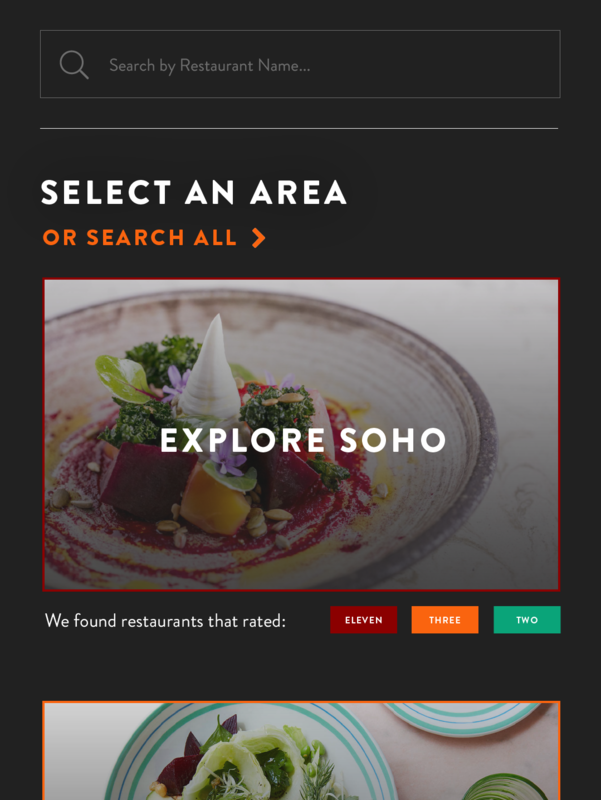 Instead of just telling them which restaurants have great veggie food, we want them to be able to compare the options that are relevant for them (e.g. ‘Korean in Soho’) to find the one that is best at veggie. That said, while we designed our tool for meat reducers, it’s at least as helpful (if not more) for vegetarians and vegans. Operating under high stress with a small budget and little support. It’s always been extremely tough to decide if and when to give up on a specific product or idea. We don’t want to miss a great opportunity by having stopped too early, but we also can’t spend our whole budget trying to keep something alive when it isn’t working. Pretty much everything feels like ‘make or break’. While I worked in banking, at least there was a regular salary, we had the best advisors and a lot of support with daily activities. Now it really comes down to me and my co-founder doing whatever it takes. While we understand why this happens, we find it annoying and even alarming that veggie/vegan always gets treated the same as food allergies or intolerances. Unless our society reduces the consumption of animal products by at least half, we don’t stand a chance of meeting the 1.5 degree climate target, which makes this an urgent, global problem. It is desirable that the majority of people start seeking and enjoying a ‘plants-first’ diet. For allergies and intolerances, it’s the exact opposite. Nobody enjoys following such a restrictive diet, and what we really wish for is a cure that can help these poor people overcome their illness. What’s the most important piece of legal advice you’ve ever needed as a small business owner? It was related to hiring: Both the shareholders’ agreement with my business partner and then an employment contract a bit later. The most important thing for me was to be able to get out of these contracts without harming the business if things didn’t work out as I had hoped. I’ve seen businesses get ruined by one business partner wanting to leave. Employment law is a bit of a tricky beast and getting it wrong can be very costly. What’s the next piece of legal advice you predict you’ll need as a small business owner? Review of commercial contracts: As opposed to, for example, financing rounds, I find that the issue with commercial contracts is that they usually aren’t standard. Especially when a larger organisation drafts it, I wouldn’t want to review it on my own and accidentally sign up for something that might get More Than Carrots in trouble. It’s essential. I like to think of it as something that hits you after you’ve done a lot of the ground work, which quite often can be repetitive or even boring. Great design, whether it’s visual design, product design, process design, etc. depends on understanding the subject matter in a lot of detail, respecting boundaries, and knowing the rules and processes. But I haven’t seen anyone create something amazing without having imagination and being able to connect the dots. That said: While creating new things is very visible, we spend most of our time doing other things. In my opinion, the most important thing is a ‘can do’ attitude and getting stuff done! What piece of advice would you give to a fellow creative business owner? Learn as fast as possible how you can motivate yourself again if something doesn’t go according to plan. Want to know more about More Than Carrots? Visit the More Than Carrots website and get social with them on Instagram and Twitter!